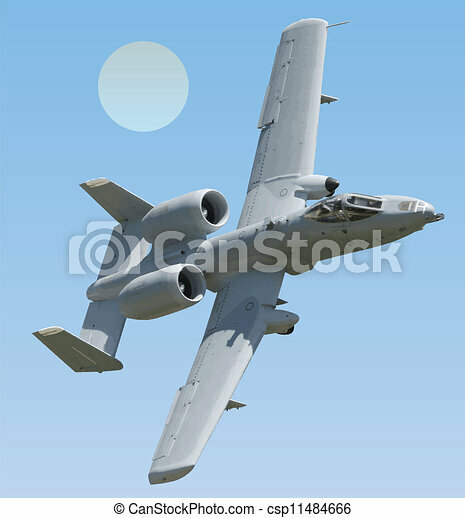 Vector a-10 thunderbolt ii warthog scalable to any size. the jet and background and sun are all on different layers. highly detailed vector image.